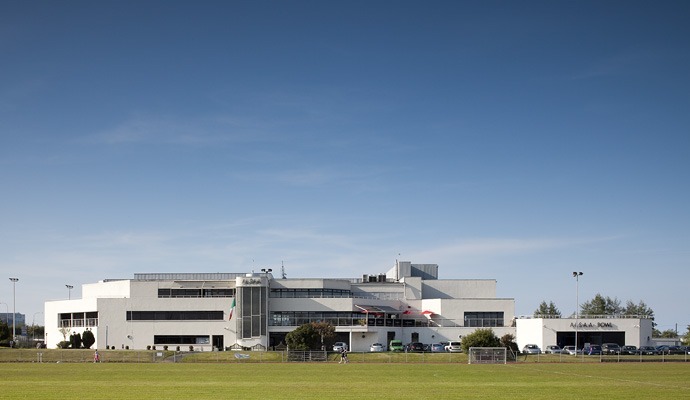 This social and leisure sports complex incorporates a bowling alley, sports halls and function rooms for the Aer Lingus Social and Athletic Association (ALSAA) at Dublin Airport. ALSAA Social and Leisure Complex was designed and built by ROHAN and subsequently sold. Location: Located next to Dublin Airport, just off the Swords Road, and within close proximity to both the M1 and M50. Public Transport: Well serviced by major bus routes. Additional Benefits: Excellent profile, a well established Dublin landmark and is in close proximity to Dublin Airport, the M1 and M50 motorways.